For many people, not having familiarity with industrial and commercial cleaning can leave them wondering what the difference between Floor Sweepers really is. In truth, there are several differing types of sweepers, each with their own accompanying features and benefits. For those looking to invest in the right sweeper, we are adding a brief informative to help educate you in your quest. They do more than sweep streets and can be used in a multitude of industrial and commercial cleaning operations. Although their traditional function may be to clean city streets, they are also very efficient when used to clean pathways, parking lots, and loading bays, etc. Many of today’s models can be user-friendly, compact and much quieter than expected. They are used in both indoor and outdoor situations and are efficient in small areas such as elevators or large areas such as warehouses or car parks. Many of them can handle large debris as easily as small debris and offer a high capacity dust filter-perfect for working indoors. There are diesel, LPG or battery-operated models which gives you great options to choose from. They are typically user-friendly, compact and easily maintained.Ride-on sweepers, in addition to their multiple functions, dramatically reduce the cleaning times associated with large jobs. They can be used in place of a broom, and perform a much more efficient result. They have the capacity to pick up a multitude of debris, (i.e., nails, screws, paper) and effectively clean areas such as workshops, service stations, construction sites or other small warehouse floors. Carpets can be cleaned easily by these as well. The light weight and smaller size of walk-behind models make them perfect for cleaning tight spots. One of the best features of walk-behinds is their extra quiet functioning, which makes them ideal for daytime cleaning of businesses with clients they don’t want to disturb. 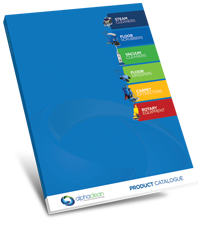 Ideally, after reading the above information, you have discovered there is more to a sweeper then you had imagined. 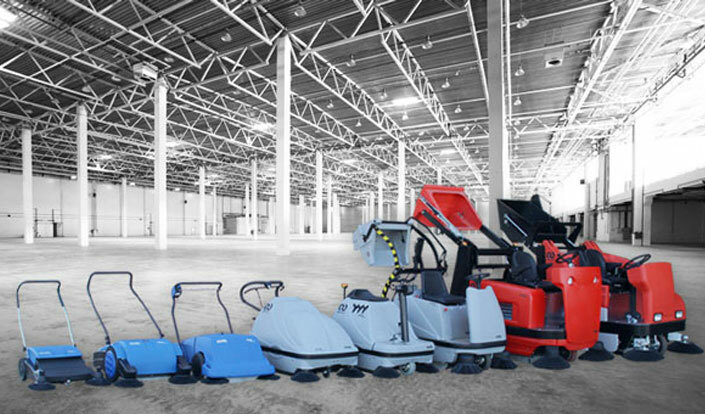 Much like businesses, floor sweepers come in all shapes and sizes and have a multitude of functions to make it possible to find the right one to suit your needs. Why Should You Choose a Ride-On Sweeper?